For those of you that have been following for a very long time, you may remember that my original profile photo and image on social media was of BookBairn sitting in my lap reading 'What the Ladybird Heard' by Julia Donaldson and Lydia Monks. This book choice was not a coincidence. It was the book we read most often, in fact it's the first book that we ever took a photograph (and video) of her obviously enjoying. It's a story that will always be seriously special to us. 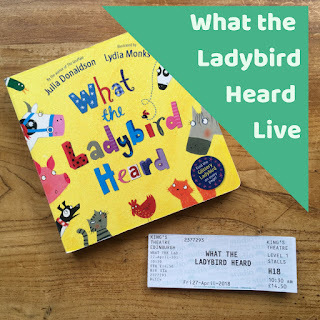 So when the 'What the Ladybird Heard Show' was coming to a theatre near us (and just days after The Wee Page Turner's birthday) I knew that we would go and see it. I was pretty nervous to be honest, taking them both (and Daddy) in case someone misbehaved (especially Daddy) and we had to leave. But I needn't have been concerned. The show captured both their imaginations as much as the book! Just a brief synopsis for those of you not familiar with the story. It's the story of a little ladybird who never before has said a word until one night she hears two bad man plotting to steal the fine prize cow. But don't worry the little spotty ladybird has a plan that means all the animals make lots of noises and not their usual sounds. It's a funny story that gets little ones laughing as you make all sorts of silly animal sounds! And I wondered how they could turn a five minute story into an hour long show! But it is crafted brilliantly. 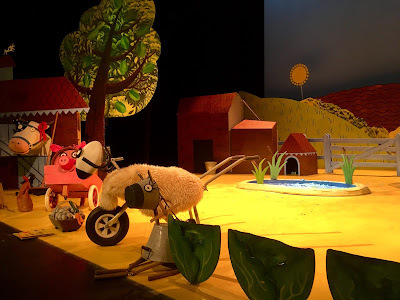 As you watch the show, the animals come to life in front of you - some are puppets but the majority are crafted from odds and ends lying around the farm. And the ladybird - well she's a little shining light that flutters around the stage as little ones chant "ladybird, ladybird, where are you?". The staging is utterly brilliant, and for me that was the most exciting part. 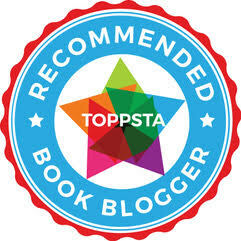 For The Wee Page Turner, who skipped his morning nap to attend (always risky! ), he delighted in the music and when he did occasionally make a sound it was only because the music had stopped. It clearly was a real enjoyment for him. For BookBairn it was definitely spotting the little ladybird and getting to go up close to the stage after the show had finished to see the animals up close. Both my kids are still relatively little and would potentially have preferred a slightly shorter show of 45mins rather than a whole hour but that's certainly not a criticism of the content of the show. 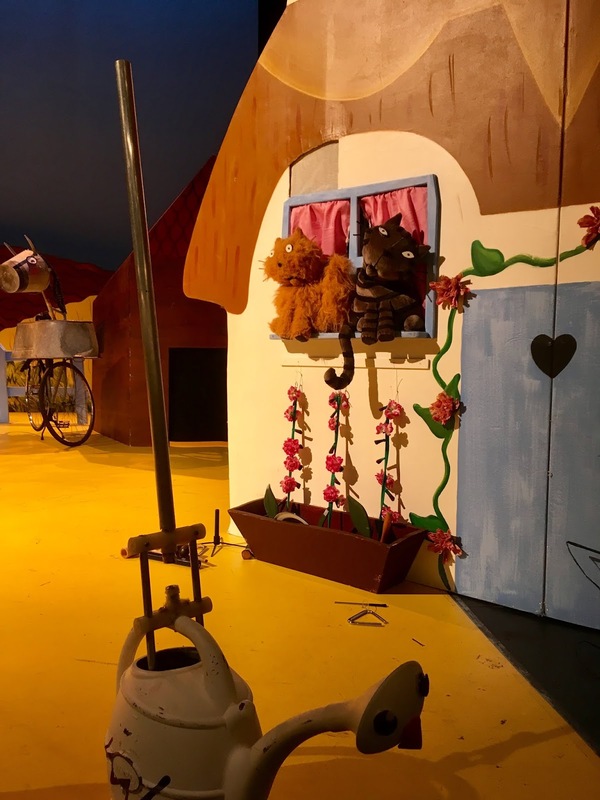 The actors were bright, bubbly and fun and conveyed the magic of the story brilliantly and the script, music and staging really were enchanting. And I loved that the show encouraged the children to interact and join in parts of the story, but without becoming a pantomime, the actors did a great job of engaging with the audience. But the best bit was seeing the joy on BookBairn's face! She loved it! 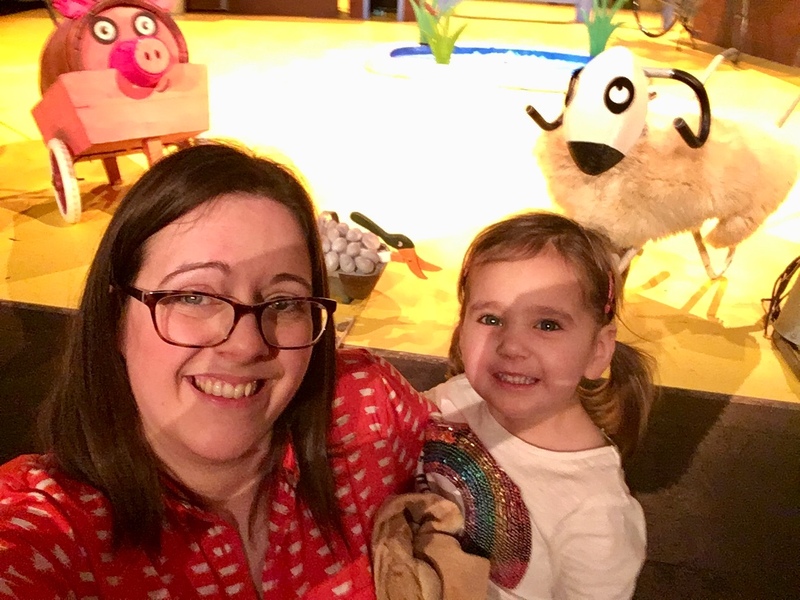 A really fun morning out for the BookBairn family! And a lovely to celebrate a birthday with on of our favourite stories! Happy reading, show watching and singing! Sounds like a lot of fun. Glad everyone behaved.